Time immemorial, we human originally are created to be of divine entities. We are molded in His likeness; power and all to serve our higher purpose. God is building an army of Angels. Although,we are not made indomitable or an instant Angel, God gave us the power to choose. He let us know that having power is so seductive and that man has to learn all there is to know about having power and thus we are born at a default- a human. We human can only aspire to be super heroes- to become one, we have to elevate ourselves to upper echelon of being as one would aspire to be an Angel. God has warned man of a power so evil but God allowed it not to plague us but for us to know why we are made in the first place- to resist and battle against evil. Evil power is so seductive we human easily fall in the abysmal fire of hell. Instead of exterminating and extinguishing fires of hell that we are so designed to do; we serve as fuel to furnaces of hell and forever burning and eternally incensed the Supreme Evil to crave for more power. Where have we gone wrong? The problem with us human is that when life throw us into darkness, we easily get lost and when we are tossed into brightness we are easily blinded that we can’t even navigate our way. Well, this is primarily because we are pre conditioned to live life like a tourist would and be happy. We are pampered and had grown up to be wimpy in all aspect so that our knowledge of divine entities are limited to the confines of our human mind. Yes, we are not ready. No problem, that’s what we’re here for. We all know that we are at the lowest end of the Hierarchy of Power. Man- Super Human- God. Marvel, Lucas, DC, Disney and all other established this Hierarchy well enough for us to see struggles a super human has to go through to bridge the huge gap between human and God. Mediator is necessary for us to convey our message to God. We have seen this across cultures- Buddha, the Christ, Avatar Krishna, Prophets and Angels are mediator. Think of them as filter to all your woes, your curses; for God is not to be bother by your misfortune. He doesn’t want to hear about your filth. He knows there is greater Evil than man’s pathology that refuse him life eternal. I know how little you feel now, that’s why you only dabble with the affairs of God and divine entities, because you feel unwelcome and all other excuses you could summon. You don’t commit until you are badly tossed into unknown space and only then you wanted all heavenly bodies to be involved as if you are the center of the universe. Human is to err and is bound to fail but God never give up on us; Never give up that one day we could be by His side worthy of the mighty wings and sword and power and be a warrior. Should a man fail to its lowest, God will give us all the chance over and over again by the Power of His Love. He loves us and wanted us to share this love among mankind. Love that would generate life in an endless cycle that will allow man to live forever. His gift of immortality among His creation. One inspiration that man should emulate is Tony Stark. He is an all human donning Iron suit and the closest thing you can relate to in all of Avengers and yet he wound his way and would lead fellow Avengers. He once suggested that government should regulate super human. He was caught up in the same conflict that human once had over X-Men. He saw it all; the monstrosity that Prof. X feared all along and the freedom that Magneto fought only brings destruction. Typical of us human to call for a regulation over an Omnipotent being we don’t have control over. We take it to our volition to command as if we have control over an entity greater than us. Stark’s egotistical approach would sometimes embroiled him deeper into conflict that he once reminded that if he is stripped of all the fancy gadgetry that he enclosed himself with, what he would be? Tony Stark knows he is far from being aberrated that super human are vulnerable to and know that working closely with super human would please God so to better understand the dynamics of super human and its vulnerabilities. We’ve seen many times how they could easily fall apart. Thanos proved to be the evil we’ve been warned of. He plan his attacked at a time when the Avengers is on a brink of break up. When one is vulnerable, it’s easy for anyone to succumbed to death and submit to power; a fact Thanos known too well upon deploying his ally- the Cull Obsidian. Thanos is in vain seeking immortality and wage the epic Infinity war against the Avengers to acquire the most coveted Infinity Stones that would bring unimaginable power and unfathomable destruction and annihilation of the planet. A gift of gem to his Bride- Death- the only victor. Death knows no life hence, death. No love life. The only thing they missed. “Love” is the key to immortality. (Love here is define as means to procreate and ensure the cycle of life) Perhaps they should learn from Thor and Jane who knows too well that love will keep them forever. There are many instances superhuman took sides when confronted about power. Imagine my panic when human government decided to hunt and to pacify or stripped mutants of their super powers in X-Men- The Last Stand. Mutants are divided and was confronted whether to go on hiding, or to go on tracking those against them and locked them down like a witchhunt would be during Medieval times. Magneto believed that the real enemy here is the mind control freak Prof. X. Magneto believed that they should embrace greatness and that Prof. X’s school for the gifted only tame or domesticate mutants; just like what the government wanted when they employ antidote. To his defense, Prof. X is all for developing and controlling powers of mutants that would enable them to become good citizen and employ powers for greater good. Remember how Pyro got lectured when he showed off his power. This is exactly why Prof. X built the school. Prof. X knew the danger of the destructive power they witnessed from the likes of Jean Grey at an early age. Just like most Anime of the East like Flames of Recca which teaches us how to control and harness power; Prof. X believed once you gained control of your power, it will open up another channel to unleash power you never knew you had. Whatever the power is, he believed it will bring balance and that they will gain trust from people. Our only fault as human, when we encounter such Omnipotent being, we want to personify them. Otherwise you are a monster. This is what Magneto had in mind, people think they are monster. Prof. X lectured Magneto about what they’ve witnessed of young Jean Grey capable of such power. Magneto, be none the wiser used and romanticized such imagery and entice youngsters to be on his side. He believed it should not be treated as a disease and that an antidote is a threat to the entire mutant community. In the end, mutants set their differences aside and we human are to suffer greatly for most part of the struggle. We lost the only one who has compassion for non mutant. He is the closest thing to being human. I mean he is wheelchair bound, how human one could get to gain your trust and yet we doubted him. Love for humanity could save us in the end.We human sometimes turn to monster but unaware of it and slippery slope is in us. The Wizarding world chronicled Lord Voldemort’s quest for an immortality. It showed us how young Tom Marvolo Riddle was consumed of having great power. Dark power seduced him of promised immortality. To be an immortal, one has to perform Horcrux- a dark art of concealing fragments of your soul to an indestructible objects and at a prize-one has to murder; an act of ultimate evil that laid path to his fate. Evil begets evil as Tom seek more power. No wizard has ever done more than one Horcrux for such a feat only manifests unspeakable evil and Lord Voldemort has done so. 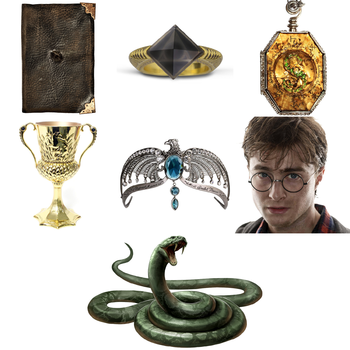 He spawned terror and brought Wizarding world on its knees as he succeeded splitting his soul and sealed it into a Diary, Ravenclaw’s diadem, Nagini, Hufflepuff’s cup, Marvolo ring and Slytherin’s locket and unintentionally to Harry. No one dared speak his name. known that key to immortality is “Love”. I love that this blog post is very niche! I also am a huge Harry Potter fan, and I love your interpretation of that story! If you haven’t read the play (The Cursed Child), it may continue to give you some insight! Thanks for sharing! 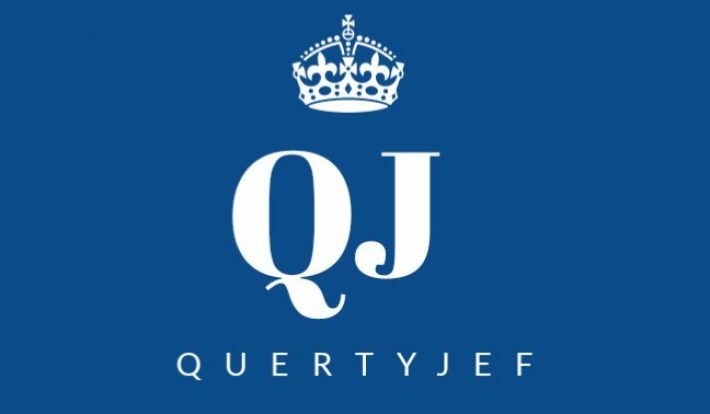 Your blog is a really unique one. great job. keep it up. I am not a fan of superheroes but i know someone who will thoroughly enjoy it. The blog post is very different from other superhero posts I have read, a new yet very interesting approach. Love the last line most, key to immortality is “Love”. Great post. Funny pose of Tony Stark. Iron Man’s fans just can’t get rid of him. He’s just the icon! Wow. I have watched so many superhero movies without giving them much thought! Loved your perspectives on these! Never thought of that frankly! I so love Tony Starks! I love everything about him despite his egotistical approach to things. Thanks for posting, this one is so unique! Very interesting! I’m only a casual fan of superheros but my sister is just obsessed with them! Thanks for sharing! Deep ideas were poured in your article. A little more and you could start a sub reddit acct. I enjoyed your take on the superheroes. It was a very unique take on them. I’m a fan or starlord of Guardians of galaxy ang also Loki and thor. Nice post from you! I really loved reading your post. I am not a superhero fan but my friends are. I am definitely going to share this with them. Like the way you discussed heroes from different worlds. We have to say that’s this was quite and interesting and a refreshing take. Great post! The first image is my fav! Looks like Captain America in a ninja suit. Oh my gosh! Beautiful, beautiful blog. I let my brother see the characters and he was so impressed. He’s so into superheroes and gaming so I figured out he would definitely love this and he did!!! Very informative post !!! You have very vast knowledge on marvel/ superheros. I am huge Harry Potter fan. Liked your side of the story !!! The last time I played any games was doom it was so violent I never played again, but this post with all the mavel superheroes make me want to find a game i can play.